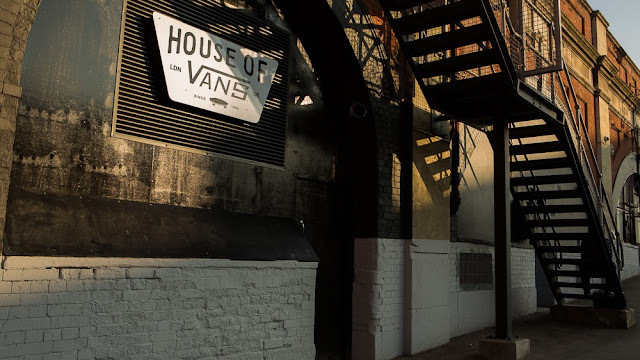 House of Vans can be found around the corner from, and directly underneath, Waterloo Station, however it's the sort of place that if you're not seeking it, you'd likely walk right on past. The bemused crowd that surround the entrance is typically 20% House of Vans attendees and 80% people lost looking for The Vaults. Now, this may not shock anyone, but I don't go to House of Vans to skate; I can only aspire to be that cool. I actually regularly frequent House of Vans as they hold free cinema nights and seem to have an ongoing relationship with an incredible documentary production company called Dogwoof. Dogwoof are responsible for the powerhouse docs such as Blackfish and Weiner, and once a month, House of Vans hosts one of their films as follows it up with a Q&A to discuss themes. It's a really brilliant - FREE - way to spend an evening. Their schedule is packed with a lot other crazy cool stuff too, check it out here. Considering it's also home to an insanely cheap cafe, indoor skatepark and music stage, there's literally no reason not to go.